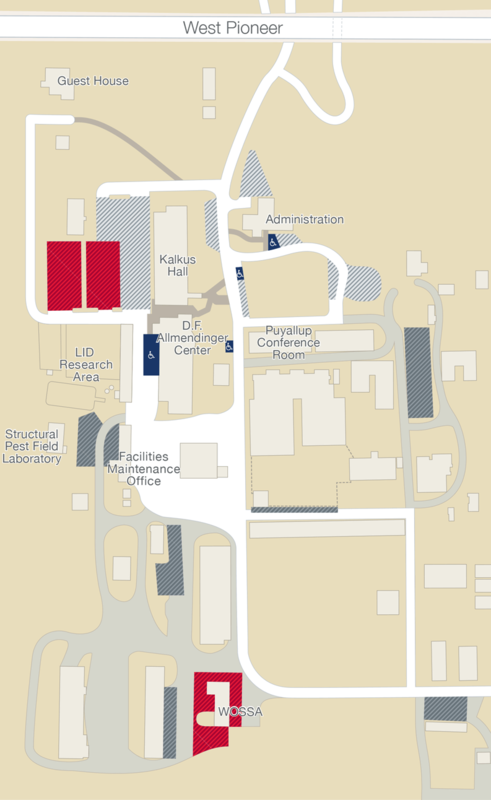 Welcome to the Washington State University Puyallup Research and Extension Center. Parking permits are not required on campus, but we do ask that you park only in designated areas while attending your event. If you have any questions regarding parking or accessibility, please contact your event organizer or the Facilities Maintenance Office.